Let’s Talk About Tax ! Let’s face it, if there is one subject that causes everyone to roll their eyes and cringe, it’s the word ‘tax’. But the main frustration (apart from paying it of course) is understanding it. When do we need to pay it? What’s it used for? How much will it cost? In the interest of paying less fines and late payment fees, here is a good overview of some of the important taxes so you can prepare for the year ahead. 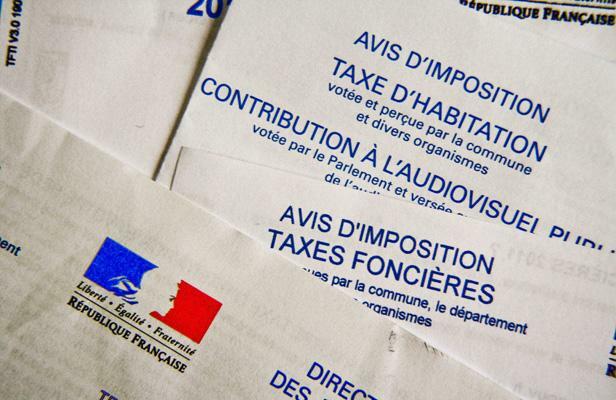 CLICK HERE TO FIND OUT ABOUT THE GOUVERNEMENT’S PLANS TO PHASE OUT TAXE D’HABITATION FOR 80% OF FRENCH RESIDENTS? This is a resident tax paid on local property, similar to the council tax in the UK. It’s used by your local commune to provide local services and council facilities i.e. schools, crèches and paid by owners and tenants. If you rent a property in France you would be liable to pay this tax. Who pays is determined by where you live on 1st January of the calendar year. Therefore if you move house on the 2nd January, you would be liable for the tax d’habitation for the whole the year even if you don’t live in the property. You would not however pay the tax in the new property you just moved in to. Tax d’habitation is is liable by the ‘tenant’ who lives in the property as of 1st January. The owner should inform the tax office of their tenants so that the tax d’habitation is sent directly to the new tenant. Otherwise, the owner would be responsable for the non payment of the tax. If there is no tenant of course, the owner is responsable. There are some exonerations and exemptions but that would depend on various criteria, such as age (certain exonerations for retirees), disability & income. Exonerations are only applicable to principal residency homes and the reductions are usually given automatically. In order to pay this tax, the property must be classed as habitable i.e. have sufficient furniture, electricity and water etc. If you don’t live there all year round, you would still be liable for this tax. If you think you may have missed out on some reductions, pop into your local tax office to discuss in more detail. They are very helpful. NOTE: If you are renting a property (but are not the owner) you are liable to pay the part of the ‘ordures ménagers’ i.e. bin collection part of the Tax Foncière. This is often built into your monthly charges. This is always the big question and quite frankly it’s quite complicated. It is calculated according to ‘la valeur locative cadastrale’ or VLC – Cadastral Rental Value of the property and its annexes. This value is ‘supposed’ to represent the annual rental income you could expect from the property. For primary residences, certain rebates are applied to this value, which gives the ‘valeur locative nette’ or Net Rental Value. The amount of your tax billed is the Net Rental Value multiplied by the tax rates voted by your local authorities which vary greatly from commune to commune. Before buying a property it would be wise to ask your estate agent or current owner this cost. Note: On the same bill, you will pay your ‘contribution à l’audivisuel public’ – TV License. In 2015 this was 136 euros. You can opt out of this if you have no TV by ticking the box on the first page of your annual tax declaration. You will receive your tax d’habitation bill in October and this tax is due to be paid on the 15th November for primary residents. For secondary homes this would be for 15th December. The date is written on your tax bill. If you pay online, these date are pushed out, see payment section below. LA TAXE foncière is a tax on property, both residential and commercial. The amount depends on whether there are buildings. There can therefore be two parts: the ‘taxe foncière sur les propriétés bâties’ which is a tax on buildings i.e. permanent buildings like houses, apartments which would include the dependencies such as garages & pools, gardens. Then there is the ‘taxe foncière sur les propriétés non-bâties’ which is a tax on land without permanently fixed buildings i.e. caravans, mobile homes & agricultural buildings like barns). 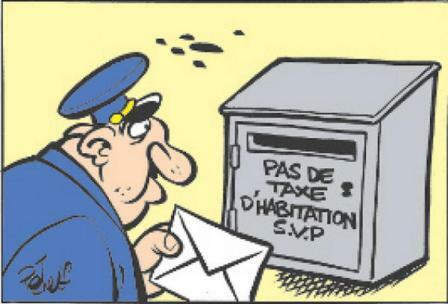 Like the taxe d’habitation described above, it is used to pay for local services. In the same way as the taxe d’habitation, this tax is paid by whoever owns the property as of January 1st of the year the bill arrives. However if someone sells the property in July of that year, there is a usually a pro-rate arrangement agreed via the notaire to avoid paying the whole year. The most common exceptions are where the occupants are not the owners but have a usufruit (long-term – sometimes lifetime – right to use the home or rent it out) or they have a bail emphytéotique, a very long lease usually for 99 years. Also for new builds, certain towns have exonerations for 2 years; however you must declare your new build within 90 days after the end of works in order to be able to be eligible. Check with your constructor for this. You would still need to pay the bin collecting costs i.e. ‘ordures ménagers’. For the building tax it is calculated according to the VLC of the property as described above under tax d’habitation. This however is then divided in half to take account of maintenance expenses (insurance, repair etc). Then the local authorities apply their tax rate and hey presto you have your tax foncière bill. For the tax on land without permanent buildings ie caravans, mobile homes, it is calculated in the same way, only there is only a 20% reduction for costs rather than the 50% reduction. When is it paid and how? You will receive your bill in September and this tax is due to be paid on the 15th October. Online payments allow you to gain time for the debit of the amount from your account (10 days later). You can also pay monthly in 10 installments from January to October. You can pay on the website www.gouv.fr. Just go to the section ‘Je paye directement en ligne’. If this is your first time, don’t leave it until the last minute as the website has lots of information and can be complicated if French isn’t your first language. A very good way of paying your tax bills if you don’t want to go monthly. You can pay on the website www.gouv.fr. This will allow you to pay in one go your tax by direct debit. You can opt into this payment up to the last day of the month preceding the date of the tax i.e. if due on 15th November, you would need to go online by 31st October. The payment would come out of your account 10 days after the date on your tax bill. Go to the section ‘Je choisis le prélèvement à l’échéance’. You can put in place your income tax, tax d’habitation and tax foncière on a monthly direct debit. The monthly payments for all your taxes are spread over 10 direct debits from January to October, the 15th of each month. So ideally, you sign up for this in before the 15th December of the previous to get maximum benefit from the 10 installments. However if you do this later, you will just ‘catch up’ the missed payments i.e. pay two or three in one go. That leaves November and December in case there is an increase of your tax contributions. If the thought of dealing with the government website on line is too much, you can call them 0810 012 010. They can help put put your payments in place……. but it might be easier to call Tracy Leonetti on 06 59 04 01 51 to ensure everything is in order for this year. n’en déduis pas forcément que c’est la cruche qui est vide.